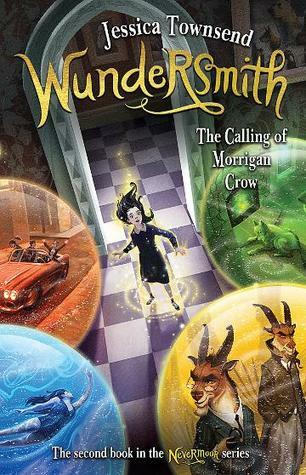 Windwitch is the second book in Susan Dennard’s Witchlands series. In Truthwitch, Safiya and Iseult flee their home after causing trouble for a Guildmaster. Safi is a Truthwitch – magically able to discern whether someone is telling the truth, and people are after her for her skills. Iseult’s Threadwitch abilities mean she is able to see and manipulate the threads that bind people to each other, although she isn’t very good at it. They flee with Prince Merik of Nubrevna, a Windwitch and admiral intent on saving his people from looming war. I enjoyed reading Truthwitch last year, and while I was fascinated with the world and the magic systems, I hoped that the execution would have improved in Windwitch. I wasn’t disappointed! In this second book there are extra points of view, making a total of five, and when combined with four separate story lines only two of which ever converge, that makes for a complicated story for a 400-page book. The separate story lines and locations make things jump around a lot between fairly short chapters, but somehow, the way the chapters are combined and woven together makes for a more flowing story than we got with Truthwitch. This series is starting to grow into its epic boots. Safi and Iseult’s respective magics make a lot more sense here, and they are growing in confidence and leadership, even though they are apart. Merik, however, is like a completely different character in this book. He’s shadowy and reclusive, partly because he’s supposed to be dead. It wasn’t a bad thing, in the end – it was just a surprise right at the start of the book when I couldn’t remember much of what had come before. A few of the things that I loved about the first book are not here, or vastly altered in Windwitch. The banter and sisterhood between Safi and Iseult, and Merik’s antagonism, especially. Those things were made up for in other ways, though, with the expansion of the world and the magic systems, with unlikely partnerships and simmering chemistry that never quite makes it to the surface. Even though I found the five points of view to be a little jumpy in such a short book, I enjoyed Windwitch more than Truthwitch. If you’re a fan of light epic fantasy (slightly oxymoronic), then try this series out. There are set to be two more in the series and I’m looking forward to seeing how the story progresses.